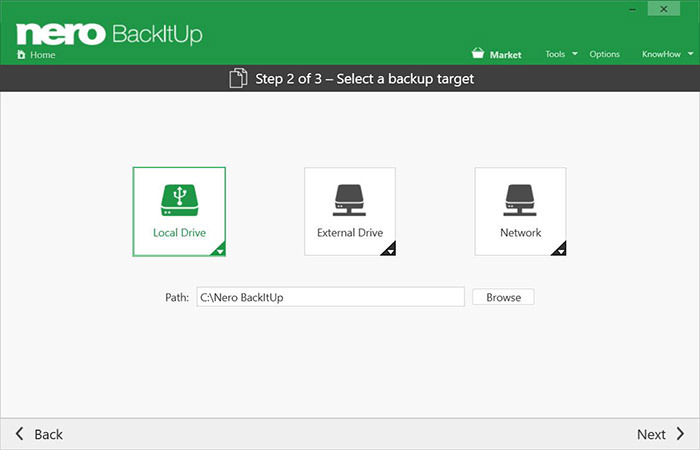 With Nero BackItUp 2019, you can now run your backups automatically. Sit back and relax! You can easily save your backups on multiple locations. From now on, you can choose for yourself what happens to your data. Of course, you can also restore old versions of your backups at any time - meaning you can rest assured nothing will get lost anymore. Your backups are compressed and encrypted in just one click. 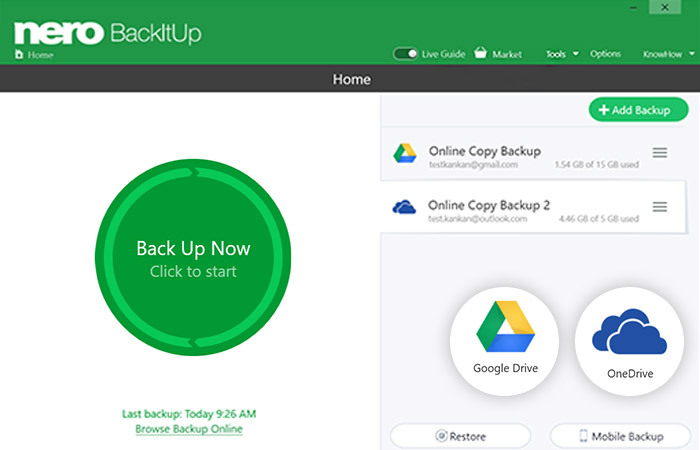 With Nero BackItUp, you now have the opportunity to perform your backups from your OneDrive and Google Drive cloud storage, and to restore your data online from your cloud.